Data storage has been very crucial these days. From Smartphones to PCs and from cameras to drones, many device manufacturers are trying to add some extra storage space in their devices as an extra feature. Storage is not just about storing photos and songs, it is more than that. Data storing capacity of a device can also be enhanced by adding an external memory card to it. These memory cards or micro SD cards can be classified by their properties. Extra space helps users to explore their device as well as it also gives you large space to save whatever they want to. Storage is not enough expensive but it must be chosen wisely. It’s better to spend a little bit more money than to buy a worthless cheap stuff. Here I have listed Top 10 32 GB Micro SD card for 2017 from the top UK stores and this list will surely help you in picking a worthy MicroSD memory card for you. SanDisk-Extreme 32GB is built for Android smartphones, tablets and MIL cameras. Incredibly engineered this microSD card is V30 rating that means this card is always ready for capturing vibrant photos and live videos. This memory card supports advanced virtual reality with 360° video recording. This tiny memory card has also the rating of UHS Speed Class 3 that enables your gadget to capture 4K UHD and Full HD video. SanDisk-Extreme is also an A1 rated microSD card that is enough for the faster app performance of your smartphone or other gadgets up to 90 or 60 MB/s. All these features make your shooting and transfer faster. Product – Micro SD card, Brand – SanDisk, Weight – 4.5 gm, Dimension – 0.1 cm x 1.5 cm x 1.1 cm, RAM size – 32 GB. 32 GB of storage capacity provides you enough space for storing hundreds of videos, images and other files. Having a wide range of compatibility this memory card can be used in your smartphone, camera, tablet, camcorder and more. Five year of guarantee gives you the confidence to use this 32 GB memory card and the concept of deleting your precious file due to insufficient space will be over. This memory card is class 10 microSD memory cards that enable users to capture the exciting and live moments without thinking about the storage space. Product – MicroSD Memory Card, Brand – Praktica, Card Type – MicroSD, Capacity – 32 GB, Performance – High Performance, Speed Class – 10, Read Speed – Up-to 90 MB per second, Dimension – 11 mm x 15 mm x 1 mm Weight – 5 gm. This microSD memory card helps users to transfer data between smartphones. If you are going to change your service or want to upgrade your smartphone, Kingston microSD enables users to transfer settings, phone lists or ringtones easily and fast. 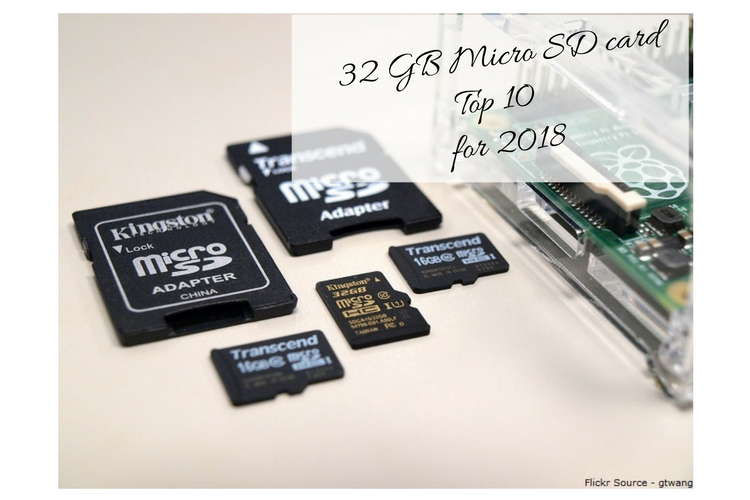 Because of the ultra-small size, this microSD card consumes very less amount of power. This extraordinary feature is enough to give longer battery life to user’s smartphone. At home, at the airport, in the office, at school or in an Internet-cafe no matter where you are wandering with your smartphone you can trust this Kingston’s microSD. All These memory cards come with the lifetime warranty and 24/7 technical support with the Kingston reliability. Product – MicroSD Memory Card, Brand – Kingston, Format – MicroSDHC, Capacity – 32 GB, Speed Class – 4, Dimension – 11 x 15 x 1 mm, Weight – 2.7 gm. Extraordinary designed and built this memory card is a reliable stuff for your gadgets. Samsung delivers excellent performance and high-speed data transfer between smartphones. The ultra-fast microSD card allows users to store a lot of precious data on their device and the brilliant memory card makes data transfer and app accessing faster. You don’t have to worry about extra space if you have this memory card on your smartphone. You can store hundreds of photos without worrying what to keep or delete. Product – Speed – 48 MB/s, Card Class -mClass 10, Card Type – MicroSDHC, Model ID – MB-MP32DA, Memory size – 32 GB, Power Requirement – 2.7 – 3.6 V, Storage Humidity – 93 %, Operating Temperature – 25 ° C to 85 ° C, Warranty – 10 Years, Weight – 0.5 g, Dimension – 15 mm x 11 mm x 1 mm. This memory card can be used with the products that are compatible with SDXC and SDHC Memory Card. This Sony microSD memory card is also compatible with all of the SDHC camcorder and cameras devices. This memory card is an ultimate reliable and durable product and delivers high performance even in intense conditions. The Sony microSD card is waterproof, x-ray proof, shock-proof and temperature resistant. It supports Full HD and 3D video capturing when teamed with sophisticated cameras or camcorders. Ultra-fast data transferring property enables your gadgets to transfer data up to the speeds of 94 MB/s that means it will take much less time in transferring data between smartphones and other compatible devices. The file rescue software which is downloadable helps users to recover videos and photos that are accidentally deleted or damaged. This is the world’s first software that supports and 3D and AVCHD files. Product – MicroSD card, Brand – Sony, Card Class – Class 10, Card Type – SDHC, Capacity – 32 GB, Model ID – SF-32UX2/T2 IN 31246325, Warranty – five years. The Strontium Nitro provides extraordinary mobile data solution for tablets, smartphones, digital camcorders, and GPS. The brilliant microSD card rapidly acquires, transfers media data, plays back. Also, it includes extended durations of 3D videos and 1080p full-HD that is brilliantly built to prevent the accidental data loss. Brilliantly engineered with UHS-I technology that delivers outstanding performance. Strontium Nitro is also much more durable and this memory card is water proof, magnet proof, temperature proof and X-ray Proof. Product – MicroSD card, Brand – Strontium, Model Name – SRN32GTFU1R, Storage Capacity – 32 GB, Operating System – Any Operating System, Compatible Devices – All Devices. PNY microSD memory card is ideal for Smartphone and this small memory card delivers standard performance. This PNY microSD Card is a Class 10 memory card that has 32 GB of storage capacity that is enough to store your personal data including photos, apps, and music. Built with a sturdy design and this memory card is waterproof, freezeproof and shockproof. This miroSD card is absolutely built to last having five years of the guarantee period. This PNY memory card is built to give you standard performance and it is perfectly designed for storing your precious data. Card type – microSD, Capacity – 32 GB, Performance – Standard performance, Speed class – Class 10, Read speed – 10 MB/s, Write speed – 10 MB/s, Waterproof – Yes, Shockproof – Yes, Freezeproof – Yes, Dimensions – 33 mm x 24 mm x 2 mm, Weight – 3 g, Guarantee Period – 5 years. SanDisk Extreme-PRO UHS-I microSD memory card is an ultimate companion for your smartphone and it also comes with the 64GB format. SanDisk Extreme-PRO provides sufficient and reliable storage for your smartphone, camera and tablet performance. Amazingly engineered this small memory card supports your gadgets in capturing 4K and Full HD videos and the data transferring speed of 95MB/s is really amazing. These extraordinary features allow you to shoot like a professional and still you will experience ultimate response from your gadgets. This memory card belongs to class 10 and has the U3 rating that means your captured videos can easily meet the appreciable standards with highest resolution standards. Product – microSD memory card, Brand – SanDisk, Performance – Standard performance, Memory Capacity – 32 GB, Waterproof – Yes, Read speed – 95MB/ sec, Write speed – 90MB/ sec. Ultimate data storage solution for your gadgets including tablets, smartphones, and sports camcorders. Amazingly engineered this MicroSD card performs brilliantly for quick capturing, fast plays back, and easily transfers media files. This tiny memory card is built to support your gadgets for fast capturing and transferring full HD, 4K, and 3D videos. Built with the UHS-I technology enhance the transfer speed that can reach approximately 300x (45MB/s). It can store up to 8 hrs of HD video, 14,200 songs or 24,800 photos. All Lexar products including this memory card come in the market after the extensive testing done in the Lexar Quality Labs that ensures the performance, compatibility quality and reliability of any Lexar product. Product – MicroSD card, Brand – Lexar, Item Weight – 9 g, RAM Size – 32 GB, Voltage – 3.3 volts, Performance – Standard performance, Waterproof – Yes. The Integral microSD memory card belongs to UHS-I and Class 3 specification that is required for 4K video capturing on cameras. Users can save 2K, 4K, 3D and Full HD videos with JPEG and large RAW photos on their gadgets. This memory card performs at ultra-fast speed without dropping any frame. Integral MicroSD Card is built to reach the perfection with Full HD and 4K action cameras including, smartphones, GoPro, cameras, tablets, and camcorders. Brilliantly engineered this tiny memory card ensures smooth video capturing no matter what is the quality of the captured video. Users can capture 4K videos at the brilliant resolution of 3840 x 2160p and Full HD video at the resolution of 1920 x 1080p. The Integral microSD card enables fast data transfer between your gadgets. Users will experience quicker video and photo editing that make editing more enjoyable. Product – MicroSD Memory Card, Brand – Integral, Memory Type – Micro SDHC, Capacity – 32GB, Read Speed – 95MB/s, Write Speed – 90MB/s, Class – Class 3 U3, Bus Interface – UHS-I, Warranty – 5 Years. Data storage is very necessary in this digital world. From government sectors to private or from marketing to personal, all the data are crucial and has its own importance. Even we don’t want to lose our personal data like photos, videos, songs and other types of information. So we need a reliable source to store our data for a long time, thus we need memory cards. I think the best part of these memory cards is these are small in size, waterproof, shockproof, X-ray proof and in many kinds temperature resistance also. So you can rely on these small-sized memory cards to stores big and precious data and information. Nice post on SD cards. I would like to see a post on SDD hard disk v/s HDD hard disk. Keep it up Robin.